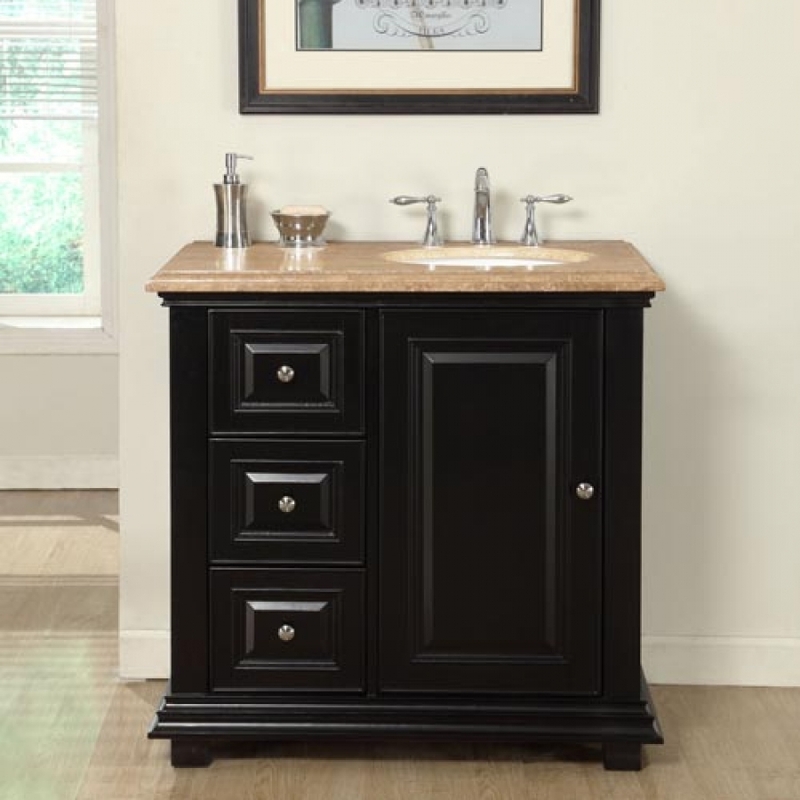 The bold finish tone and clean lines of the design of this single sink vanity will make it the perfect addition to many different types of room décor. 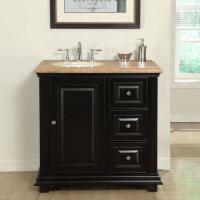 The style and functionality will be a welcome addition to the bathroom. With a single door cabinet and three drawers, there is ample room for storage which will be very handy and helpful in keeping the space tidy. The dark espresso finish is nicely accented by the light tone of the brushed nickel hardware pulls and is topped by a travertine counter top that has its own natural beauty.